The sale of online goods has been both a revelation and a curse for retailers, but a particular problem when it comes to deal with counterfeit or otherwise infringing goods being sold. 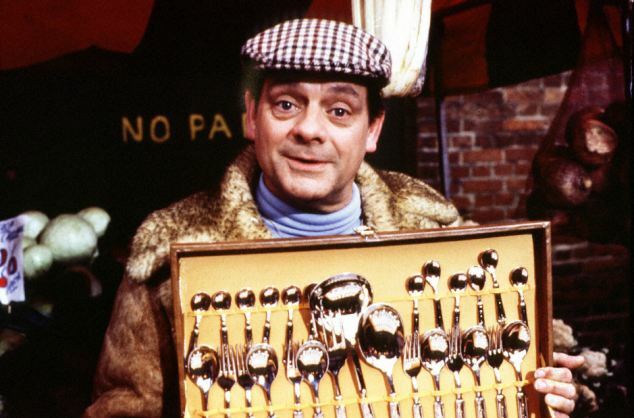 Cases such as Cartier v British Sky Broadcasting have seemingly helped to remedy this issue, however, whether this rationale applied to the physical world, specifically in marketplaces and the like (as fellow Londoners can attest, many of these market stalls sell items of questionable origin). This particular thorn in retailers' collective sides is one that cannot be so easily removed, but in the vein of the above, could the stopping of online infringement be extended to applying outside of the Internet to these physical locations? The Court of Justice of the EU sought to clarify this position in a recent ruling. The case of Tommy Hilfiger Licensing LLC and Others v DELTA CENTER a.s. dealt with the sale of fake goods at the Prague market halls (locally known as Pražská tržnice), where individual traders could sub-lease different sales areas within the halls to sell their items. Upon the sub-leasing of a sales space, the traders would be subject to an obligation to "...respect the regulations to which their activities are subject", i.e. law and regulations governing the sale of goods in the Czech Republic and the EU. Additionally, the traders were given a brochure that prohibits the sale of counterfeits under the threat of termination of the lease. It transpired that many of the stalls sold counterfeit goods of the applicants' brands, who subsequently took Delta Center to court over the issue. The Czech court referred two questions to the CJEU: 1. Whether the third sentence of Article 11 of the Enforcement Directive encompasses a person with a lease of premises in a market, who provides the spaces for the purposes of selling goods, as an "...intermediar[y] whose services are used by a third party to infringe an intellectual property right"; and, is it possible to impose those persons the same impositions provided in the case of L’Oréal and Others v eBay? These measures would, as summarized by the Court, would allow for the Court to "...take measures aimed at bringing those infringements to an end and measures seeking to prevent further infringements". The Court continued that, for an economic operator to fall under the definition of an 'intermediary', it must provide a service capable of being used by one or more persons in order to infringe one or more intellectual property rights, irrespective of a maintained relationship or not. The provider would still fall under the definition even if it does not provide a service other than the one used to infringe the aforementioned rights. Following a brief discussion of admitted facts, the Court quickly determined that "...an operator which provides to third parties a service relating to the letting or subletting of pitches in a marketplace, thanks to which they have access to that marketplace and offer for sale in that marketplace counterfeit branded products, must be classified as an ‘intermediary whose services are being used by a third party to infringe an intellectual property right’ within the meaning of that provision". The Court's rationale here is correct in this writer's opinion, since the provision of the service is integral to the infringement of the rights by third-parties, irrespective of their acquiescence to those activities. Following this they continued that the realm where the provision of services happens, i.e. physical or electronic, is irrelevant, which, again, makes sense considering the Court's earlier decision in L'Oreal. The Court therefore concluded that the third sentence of Article 11 would include the tenants subletting the plots that are used to sell infringing goods. The Court then turned to the second question, which dealt with the ability to impose measures against those sellers per the L'Oreal case. After a brief discussion of the nature of those measures that can be imposed (that they have to be e.g. proportionate, equitable, and not be barriers to legitimate trade), the Court saw that "...the conditions for an injunction within the meaning of that provision against an intermediary who provides a service relating to the letting of sales points in market halls are identical to those for injunctions which may be addressed to intermediaries in an online marketplace, set out by the Court in the judgment of L'Oreal". Arguably, this writer yet again agrees with the Court's assessment, as the provision of measures against infringing activities should function equally, when possible, across all mediums of sale, irrespective of whether they are physical or not. The decision is very much of common sense, equating the internet as an equivalent space to physical marketplaces, which, considering the efficacy of the law's interpretation, makes sense. It will be interesting to see whether the decision is a spur to the industry in the prevention or addressing of the sale of physical counterfeit goods, but this writer thinks it will maintain the status quo, purely due to the expense and time taken up by enforcement activities. Even so, it is nice to see a parallel being drawn between these worlds, even when we shift to an ever-more electronic existence.